Healthcare electronics is rapidly deploying for wellness, electroceuticals, intrusive medical procedures and more, powered by new technologies. Much of it is trending to diagnostics and treatment on the move and removing the need for the patient to perform procedures on time. Instruments become wearables including electronic skin patches and implants. The new IDTechEx Research report, Piezoelectric Harvesting and Sensing for Healthcare 2019-2029 notes that preferably sensors should be self-powered, non-poisonous even on disposal and many need to be biocompatible and even biodegradable. We need to detect biology, vibration, force, acceleration, stress and linear movement and do imaging. Devices must reject bacteria and be useful in wearables and Internet of Things nodes. Preferably we must move to one device performing multiple tasks. So is there a gymnast material category that has that awesome versatility? Piezoelectrics has a good claim. It measures all those parameters. That even includes biosensors where the piezo senses the swelling of a biomolecule recognizing a target analyte. The most important form of self-powered (one material, two functions) piezo sensing is ultrasound imaging, a market growing at 5.1% yearly. The IDTechEx Research report, Piezoelectric Harvesting and Sensing for Healthcare 2019-2029 looks at what comes next based on global travel and interviewing by its PhD level analysts in 2018 with continuous updates. The IDTechEx Research report, Piezoelectric Harvesting and Sensing for Healthcare 2019-2029 starts with an Executive Summary and conclusions sufficient for those with limited time to grasp the emerging capabilities, issues and dreams with market forecasts for the piezoelectric harvesting and sensing systems, transducers and materials. Chapter 2 is the introduction giving the global healthcare situation and how energy harvesting and particularly sensors are increasingly vital. Piezoelectrics are at the heart of that. Chapter 4 Fundamentals goes deeper into the operating modes, theory, chemistry and electronics involved even embracing routes to biodegradability. For more contact the IDTechEx research team at research@IDTechEx.com or visit www.IDTechEx.com/piezohealth. 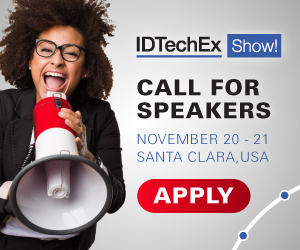 EMD Show Award Winning IoT Node Technology at the IDTechEx Show!